To ensure that important works of art are around for future generations, conservators are sometimes tasked with figuring out how to turn back the clock. When handled by professionals, restoration can significantly extend the life of rare and priceless artifacts (though sometimes the process doesn't go as planned, and there are unfortunate results). The Art Newspaper reports that one of Vincent Van Gogh’s paintings, Sunflowers (1889), has been taken off display at The Van Gogh Museum in Amsterdam to be conserved and possibly restored to bring its colors closer to their original brilliance. The conservators are deciding whether it would be safe to remove a coating of varnish from the painting's surface that was likely added in 1927, more than three decades after the painting's completion. Because of its age, the varnish has developed a brownish tint; according to The Art Newspaper , the yellow pigments used by Van Gogh have also deteriorated "due to a photochemical reaction that takes place when chrome yellows are exposed to light." Art restoration has been referred to as a balance between art and science, but it's still a controversial field that not everyone believes is necessary. In 1985, Yuriko Saito wrote an article in The Journal of Aesthetics and Art Criticism that explored the desire to restore art and considered arguments from both sides: restoring “aesthetic appeal” versus sacrificing legitimacy with new paint and materials applied by someone who is not the original artist. Conservators at other institutions have been experimenting with noninvasive alternatives for restoring art, including the Harvard Art Museum's use of digital projection technology to restore Mark Rothko murals that date back to the 1960s. 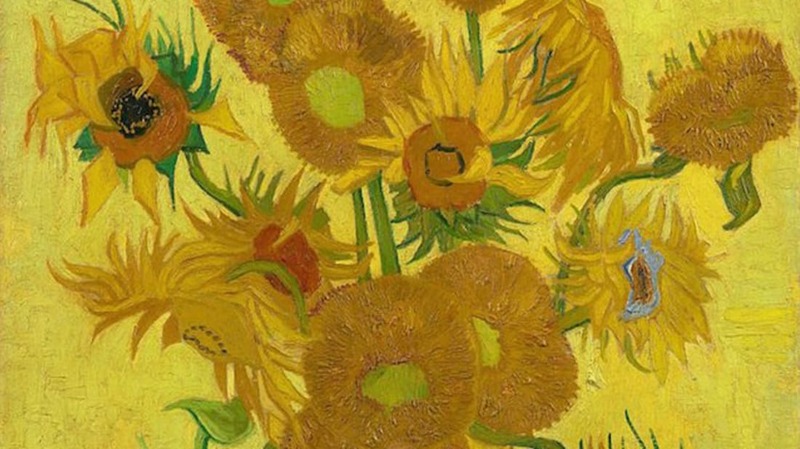 According to The Art Newspaper, Sunflowers will go back on display on March 24, after which conservators will use what they learned during their investigation to decide whether the restoration will move forward.